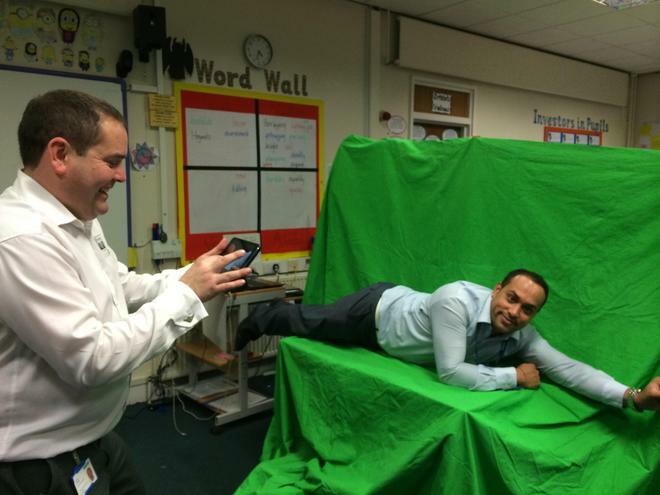 Staff create comedy films using 'Green Screen' technology! 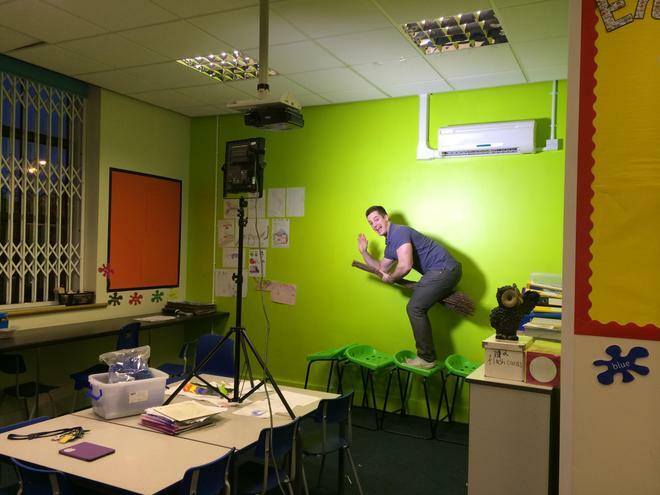 Some of our teachers are so talented at Marshfield, they can actually fly! Well - they could on Wednesday evening during our staff meeting. 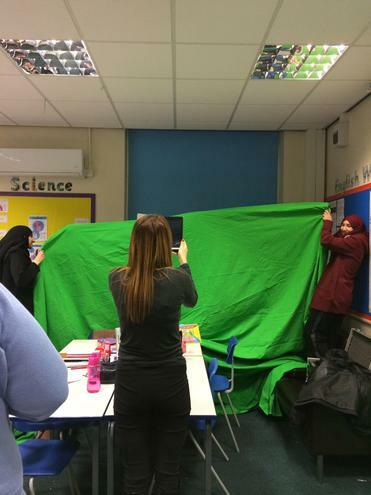 James Langley was invited into school to train staff how to use 'Green Screen' technology to create film. 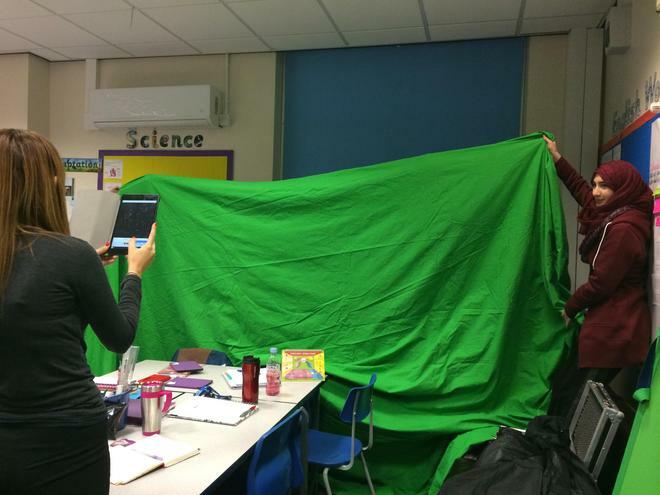 Children across the whole school will be being taught how to use this new technology to present their writing in exciting ways. 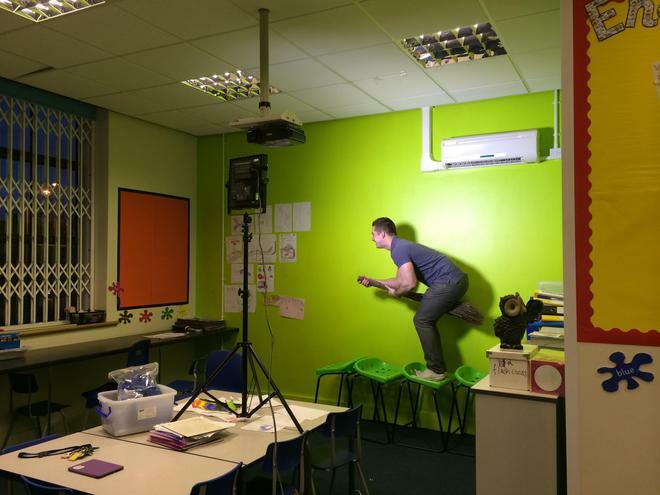 We'll be holding a special Marshfield BAFTAs to close this half term, where children will be given the opportunity to showcase their films to the whole school! I await excitedly with my popcorn!